If you have attended several of our practice sessions and are ready for a holster rig, here is some equipment information you may find helpful. Kip and Deb both use Safariland competition rigs. For over 50 years, Safariland has been committed to providing quality products for the law enforcement community, concealed carry and the shooting sports. Safariland’s mission, “Together, We Save Lives” is much more than a statement; it is a creed that Neale Perkins, founder and president, and his entire company live by. Check out the Safariland Saves Club for the impressive history. 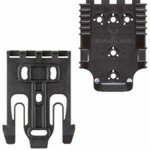 The Safariland Equipment Locking System (ELS) Gear is the equipment we use at matches. However, you don’t need to invest in an ELS rig to get started. 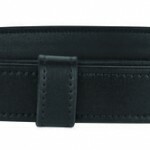 Choose the regular Safariland Range Belt (listed below) and the holster and mag pouches will easily slide on. To get the products we use for USPSA Single Stack, Limited 10, Production, Open and Limited Divisions, click on the picture links below. 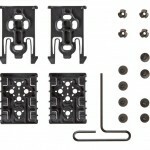 Order this stand alone belt if you do NOT want the ELS Rig. Order BOTH belts if you want the ELS Rig. 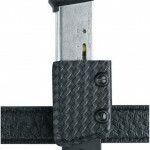 We use the USPSA Kit to attach the holster to the ELS Competition Belt. and cant of your holster so it’s perfect for you. as it can be difficult to properly fit a holster to our bodies. 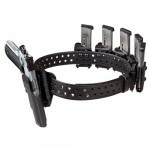 The USPSA Kit can NOT be used with the 332 Range Belt. 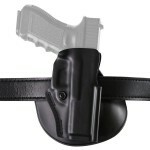 use the standard belt attachment that comes with the holster. Note: The 5197, 5198 and 5199 holsters can be used interchangeably. 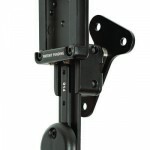 included with each model, which we replace with the USPSA Kit. magazine pouches for the rear magazines, as they provide greater retention. 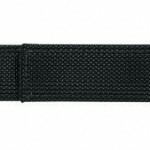 The ELS Kit attaches your pouches to the ELS Competition Belt. i.e., if you order 6 pouches, get 3 kits. 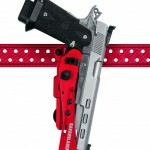 to mount the holster to your ELS Competition Belt. and a MUST for Multi-gun competitions. 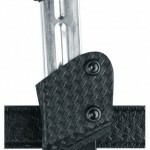 This is the holster we use for Open and Limited Division. 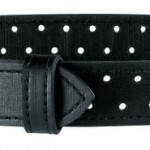 It attaches directly to the ELS Competition Belt. 773 pouches for the rest of your magazines. high-capacity magazines and greater retention. i.e., if you order 4 pouches, get 2 kits.